Are you and your dog facing charges as a “Dangerous Dog” or “Vicious Dog” by Palm Beach County? The Animal Ordinances governing Palm Beach County concerning dog bites are now more in line with the Florida Statues. Under Florida and Palm Beach law, you are entitled to a hearing to defend the classification of a Dangerous Dog or a Vicious Dog. As a Dangerous Dog, your dog is facing a lifetime of wearing a muzzle, special confinement, dangerous dog tattoo and registration with the county as a dangerous dog. If another bite occurs your dog could be classified as vicious then your dog will be euthanized. A Dangerous Dog is described as a dog who has aggressively bitten, attacked or inflicted a severe injury on another human being. Severe injury means broken bones, multiple bites or disfiguring lacerations requiring sutures or reconstructive surgery. A Dog can be declared Dangerous if it has more than once severely injured or killed a domestic animal while off your property. Some of the defenses to Dog Bites that Palm Beach lawyer, Steven M. Logan will raise is whether the dog was provoked by the accuser. Provocation doesn’t necessarily only mean that the accuser was aggressive and mean to the dog, it can also mean taking food from the dog, running towards the dog. Other defenses include: Was the accuser a trespasser? Was accuser lying about the injuries? Is the accuser motivated for money in a civil suit? 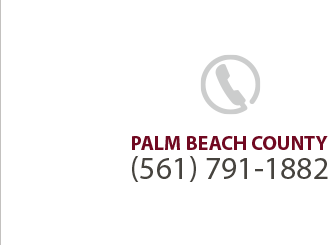 Call Dog Defense Lawyer Steven M. Logan in Palm Beach at (561) 791-1882.